We live in a unique and exciting time in history. Globalization has caused a greater awareness of other religions and belief systems, giving Christians a great opportunity to share Christ with the world. This leads us to one of the core purposes for apologetics. 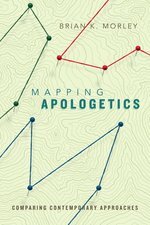 Christian apologetics seeks to provide reasonable evidence against other belief systems that Christianity is true and reliable. In this global environment, with so many belief systems competing for our attention, it is extremely important for Christians to understand the fundamentals of the Christian faith. Who is Jesus? How do we know He existed? How does Christianity compare with other religions? Life Answers: Making Sense of Your World helps readers understand that faith in Jesus Christ is both valid and reasonable. Readers can feel confident in teaching others why Christianity is true and why Jesus really is "the way, the truth, and the life" (John 14:6a, NASB). Many Christians have been brought up under the assumption that mainstream science is incompatible with genuine Christian faith--so when they see compelling evidence for biological evolution, for example, they feel forced to choose between science and their faith. The devastating effects of this dilemma are plain to see, as emerging adults either leave the faith or shut themselves off to the findings of the scientific community. But it's a false dilemma. In this book, Greg Cootsona argues against the idea that science and faith are inherently antagonistic. We don't have to keep them scrupulously separated--instead, we can bring them into dialogue with one another. Cootsona brings this integration to a number of current topics in science and faith conversations, including hermeneutics, the historical Adam and Eve, cognitive science, and the future of technology. His insights are enhanced by his work with Fuller Seminary's STEAM research project. Emerging adults want to believe that science and faith can coexist peacefully.Mere Science and Christian Faith holds out a vision for how that integration is possible and how it can lead us more deeply into the conversations around science and faith that confront the church today. Sam Harris's first book, The End of Faith, ignited a worldwide debate about the validity of religion. In the aftermath, Harris discovered that most people--from religious fundamentalists to non-believing scientists--agree on one point: science has nothing to say on the subject of human values. Indeed, our failure to address questions of meaning and morality through science has now become the primary justification for religious faith. 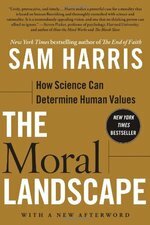 In this highly controversial book, Sam Harris seeks to link morality to the rest of human knowledge. Defining morality in terms of human and animal well-being, Harris argues that science can do more than tell how we are; it can, in principle, tell us how we ought to be. In his view, moral relativism is simply false--and comes at an increasing cost to humanity. And the intrusions of religion into the sphere of human values can be finally repelled: for just as there is no such thing as Christian physics or Muslim algebra, there can be no Christian or Muslim morality. Using his expertise in philosophy and neuroscience, along with his experience on the front lines of our "culture wars," Harris delivers a game-changing book about the future of science and about the real basis of human cooperation. MORE THAN A THEORY OP!!! The year 2009 marks the 150th anniversary of the publication of Charles Darwin's "On the Origin of Species." Alongside that event, there are many Darwin Day celebrations planned to acknowledge his 200th birthday. Add to these the virulent attacks of the New Atheists, led by Richard Dawkins. Bible-believing Christians will be left increasingly challenged with the theory of evolution as the only model to explain the origins and age of the universe. In "More Than a Theory," Hugh Ross, founder and president of Reasons To Believe, offers discerning readers a comprehensive, testable creation model to consider as an alternative. This fascinating resource will educate readers with a direct response to the recent and well-publicized challenges from aggressive atheists. 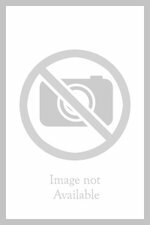 In doing so, it also reminds the scientific community of what constitutes good science. Furthermore, it will supply Christians with the scientific information they need to defend their convictions that the God of the Bible is the Creator. Complete with several appendices that put common documents and stories to the same test, "More Than a Theory" is a bold, brave, and unapologetic work of apologetics that will stir much discussion in both the scientific and religious realms. 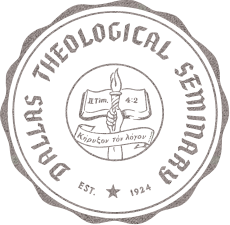 LESS Fake LESS Doubt MORE Truth Truth is a tricky thing. Today, "the truth" is not just hard to swallow; it is something we refuse to swallow. Truth is too certain, too divisive, too arrogant. In response, today's truth is often one of relativism: what's true for you might not be true for me. But if it's sometimes true, and sometimes not, is it really truth at all? Jesus claimed to be "the way and the truth and the life." But can we really accept this ultimate truth in an age of questioning, uncertainty, relativism and skepticism? In MORE Truth, young philosopher Kristi Mair explores whether Christians can be confident in the "truth" in our anything goes age. Aesthetically pleasing, quote-heavy, with short chapters that hold together like a series of blog posts on a theme, the more series will afford readers the space (whether it be five minutes on the subway or a quick evening devotional) to explore themes of the Bible in a life-applicable and accessible way. Do you feel equally uncomfortable with closed-minded skepticism and closed-minded Christianity? If so, thenThe Myth of Certainty is the book for you. Daniel Taylor suggests a path to committed faith that is both consistent with the tradition of Christian orthodoxy and sensitive to the pluralism, relativism and complexity of our time. Taylor makes the case for the reflective, questioning Christian with both incisive analysis and lively storytelling. 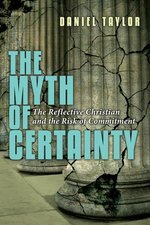 His brief fictional interludes provide an alternative way to explore key issues of belief and vividly depict the real-life dilemmas Christians often face. Taylor affirms a call to throw off the paralysis of uncertainty and to risk commitment to God without forfeiting the God-given gift of an inquiring mind. Throughout he demonstrates clearly how much the world and the church need people--maybe people like you--who are willing to ask tough questions. In The New Flatlanders, teacher, scientist, and chaplain Eric Middleton challenges traditional ways of looking at reality by engaging readers in a "voyage of discovery starting with questions." The book engagingly begins with a discussion group embarking on an exploratory conversation about the nature of the universe and the place of human beings in it. Daunting questions emerge, such as "How can there possibly be a tear or hole in three-dimensional space? And if there is a hole, can something fall through it? Where would it fall to?" In short order, students and teacher are on a quest to develop a "working theory of everything" that takes them from stone circles to quarks, superstrings, quantum theory, the anthropic principle, evolution, consciousness, miracles, chaos, and the spiritual universe. The key to exploring these questions is finding a language with which to talk about the awe and wonder of today's science alongside the joy of experiencing the spiritual. This is done by interweaving into the discussions the philosophy of "Flatland," a nonreligious entry point to Jesus posited by nineteenth-century clergyman and educator Edwin A. Abbott in his classic parable Flatland: A Romance of Many Dimensions.